We are mothers, fathers, wives, partners and friends of migrant men locked up in maximum-security jails across Ontario. Our loved ones are being indefinitely jailed by Immigration Canada, and have been denied every opportunity to re-join their families and friends. We are mothers and fathers who are waiting to be reunited with our first born and our youngest sons. 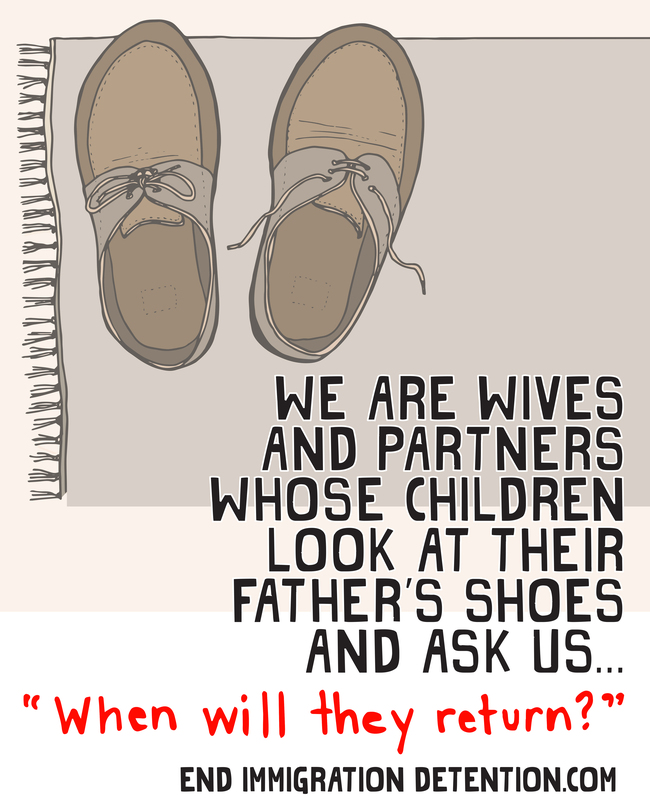 We are wives and partners whose children look at their father’s shoes and ask us when they will return. We are stay-at-home moms, and elderly parents who have to leave our children, and our sick family members in search of jobs as our family’s breadwinner has been taken away. We are caught in the crocodile jaws of immigration, spending thousands of dollars we don’t have on legal fees. Some of our loved ones started getting into trouble with the law at a young age because our families broke down, or because we were too busy trying to survive with multiple jobs to keep them on the right path. They have all served their jail terms yet are facing double punishment. Others have never been arrested or charged with any crime. Our loved ones have been locked up in jail, some for six months, others for nearly ten years. They are stuck in jails and their lives are passing them by. What purpose does this serve? They want to pull their lives together but how can they do it behind bars? How can they pay a lawyer or gather their immigration documents without work, phones or internet access? Canada can’t deport most of them. Either because countries that they left at a young age don’t want them back, or because countries they come from are in upheaval. Many of them are refugees, and deporting them would put their lives at risk. Some of them have refugee status, others have a stay on their deportation but Immigration Canada won’t release them because we don’t have enough money for a bond. We are urging Canada to release them to our care. We are also asking that a 90 day limit be put in place on detentions pending deportation so that no other family has to go through the pain we have. Our sons, brothers, friends and husbands are part of our home. They are our family. They are in jail and that’s devastating. Physically, emotionally, spiritually we need these men back. We want them out of jail. Please sign on to these men’s demands below and raise your voices with ours. M.M, S.M., C.A., D.S., A.M. Families of migrants in detention in Ontario, February 14, 2014.